Available in Epub, Mobi. And Pdf. Pink’s classic work on divine sovereignty. What is known and taught as Church History is in reality history of Christianity rather than a history of the church Christ founded and promised perpetuity to. History reveals that the true Church as an institution was represented by local congregations as opposed by a developing and growing hierarchy until the bishop of Rome is made Pope or Supreme Bishop. This hierarchy is made up of the collective body of bishops with the pope as supreme bishop. This hierarchy is independent of the lay members in Roman Catholic churches who are nothing short of spiritual slaves being told what to believe and do. This false church claimed to be the only mediator of grace, and to cut oneself off from it was to lose all hope of salvation. The first general organizations were diocesan (district) . Things became so rotten in Roman Catholicism until some of the members could stand it no longer and being excommunicated became founders of other denominations of Christians. This period began in the reformation under Martin Luther, when Protestantism was born. The Lutheran Church was organized in 1520; the Episcopal (Church of England) began with Henry VIII in 1534; the Presbyterian by John Calvin in 1535; Dutch Reformed separated from Roman Catholicism in 1540; Congregational founded by Robert Brown in 1580; Methodist by John Wesley in 1740; Free Will Baptist by Benjamin Randall in 1780; Disciples of Christ organized by Alexander Campbell in 1827; Mormons by Joseph Smith in 1830; Anti Mission Baptists by Daniel Parker in 1832; Nazarenes by S. F. Breece in 1835; Christian Science by Mary Baker Eddy in 1884. 1. The New Testament is the only law of Christianity-the sufficient rule of faith and practice. We do not go to the Old Testament for what we believe and practice as a church. This in no wise means that the Old Testament is not true as the word of God. But we do not get our doctrine as a church from the Old Testament. The Church of Christ is a New Testament institution. The Bible and the Bible alone is the religion of Protestants. 2. Individual responsibility. This covers a lot of ground. It does away with proxy religion in baptism, etc. This calls for freedom of conscience and religious liberty. Every person must give account of himself to God. Calls for obedience to God when there is conflict between God’s command and human authority. Calls for separation of Church and state. Calls for liberty not toleration. I do not want to be tolerated by the state in religious matters. I want to be left alone, to follow my own conscience. I do not want to have to get any license to preach from any human government. I got a license to marry people because marriage and the home are state institutions, not religious and spiritual. 3. The church is a body of baptized believers, equal in rank and privilege, administering its own affairs under the headship of Christ. Fewer than half of all adults can name the four gospels. Many Christians cannot identify more than two or three of the disciples. According to data from the Barna Research Group, 60 percent of Americans can’t name even five of the Ten Commandments. “No wonder people break the Ten Commandments all the time. They don’t know what they are,” said George Barna, president….. I originally posted this article back in February of 2013. In discussing catechesis with my wife tonight, I went in search for it. After reading it, I decided it was worth a repost. I hope you find it helpful. It has been such a blessing for our family to catechize our daughter. My wife and I use The Baptist Catechism, but my four-year-old and the children’s ministry at our church use the more basic Catechism for Boys and Girls. Every night we get together as a family to pray, sing hymns, and read God’s word. Of course, we haven’t always been able to do this perfectly, but it has become a fairly regular expectation for my family. When we gather together at night to have family worship, we also spend some time catechizing our daughter and one another. We even let our daughter ask us questions from The Baptist Catechism. She loves it. So, today, I was thinking about the benefits of catechesis and thought I’d simply blog about it. •It helps us to make sense of the things we are reading regularly in Scripture. We should not simply be concerned that our families understand what the texts say in their immediate contexts, but what the Bible as a whole has to say on various topics. If we simply focused in on the immediate contexts of certain texts, we would never arrive at a full-fledged understanding of even the essentials of Christianity….. Your dearly-prized note came safely to hand, and verily it did excel all I have ever read, even from your own loving pen. Well, I am all right now. Last Sabbath, I preached twice, and to sum up all in a word, the services were “glorious.” In the morning, Dr. Patterson’s place was crammed; and in the evening, Dr. Wardlaw’s chapel was crowded to suffocation by more than 2,500 people, while persons outside declared that quite as many went away. My reception was enthusiastic; never was greater honor given to mortal man. They were just as delighted as are the people at Park Street. To-day, I have had a fine drive with my host and his daughter. To-morrow, I am to preach here. It is quite impossible for me to be left in quiet. Already, letters come in, begging me to go here, there, and everywhere. Unless I go to the North Pole, I never can get away from my holy labor. The Wednesday Word: Glorious Gospel Grace! Salvation is entirely by grace. It is both unearned and undeserved. We are chosen by grace (Ephesians 1:4). We are given to Christ by grace (John 6:37). By grace, we are made alive together with Christ, (Ephesians 2:5). He has glorified us by grace (Ephesians 2:6). We are redeemed by grace (Ephesians 1:7). We are justified by grace (Titus 3:7). It’s Grace! Grace! Grace from beginning to end. It is clear that in Scripture, God does not give one iota of credit to man regarding salvation. It is all of grace! Amazing Grace. Glorious Gospel Grace. The making alive, the undeserved favour, the adoption as children into God’s family is all by grace. He made us accepted by grace (Ephesians 1:6). We have forgiveness by grace (Ephesians 1:7). Union with Christ and the good works that follow as God’s purpose, after salvation (Ephesians 2:10), are all the gift of God! It’s all of grace! To “glory” is “to boast.” Paul is reminding us that we cannot boast in anything except the cross of the Lord Jesus. That’s another way of saying that salvation has been accomplished by grace. All of our prosperity, all of our accomplishments, all of our doctrinal understanding, and even our accumulated insights are nothing to glory about. We can boast only in the grace of God as revealed in the person and work of our Lord Jesus Christ! In the Old Testament, Jesus is the coming Messiah. He is the promise of grace In the New Testament, He is the realized Messiah, the true Promise of Grace apprehended. Grace always brings us to Christ Jesus. He procured salvation for us. He Himself is our salvation. He Himself is the grace of God. Grace is embedded in His very name, for the name of Jesus, means salvation. Remember: “Neither is there salvation in any other: for there is no other name under heaven given among men whereby we must be saved” (Acts 4:12). Grace brings people to Christ, and to no one else. Grace enables us to look unto Him by faith to be saved. But what about repentance brother? Yes, what about it? Is that not important? Yes, it is! But let me ask you…from where do we get repentance? The goodness of God, exhibited in His Grace, leads us to repentance (Romans 2:4). There is no other way! Praise to His Name! It’s Grace, Grace, Grace, Glorious Gospel Grace! 1) Free Grace—the gift of God (Ephesians 2: 8-9). 2) Saving Grace—it brings us to eternal salvation. 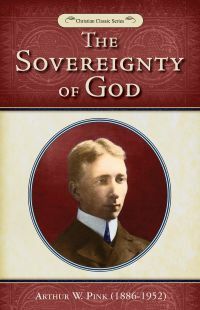 3) Sovereign Grace—not of ourselves, but by God’s sovereign will. Salvation is not of him that wills, nor of him that runs, but of God that shows mercy (Romans 9:16). 4) Sustaining Grace—We are kept by the power of God through faith unto salvation ready to be revealed in the last time (1 Peter 1:5).